Research results and advice from experts are available to both employees with assistance dogs and employers to help create successful employment outcomes. July 11, 2014 | Santa Fe, NM—People with physical disabilities and military veterans with post-traumatic stress disorder are just some of the increasing numbers of people partnered with assistance dogs. Their dogs help them to lead more independent and productive lives. But are these service dog teams welcome in the workplace? Or is an assistance dog an impediment to employment? In honor of International Assistance Dog Week, August 3 – 9 , 2014, West Virginia University associate professor and researcher, Margaret Glenn, and assistance dog expert, Marcie Davis, founder of IADW, author of “Working Like Dogs: The Assistance Dog Guidebook,” and host of the Working Like Dogs radio show, will share information on assistance dogs in the workplace. An August 5 webcast is being produced by the Job Accommodation Network, a service of the Office of Disability Employment Policy, U.S. Department of Labor. 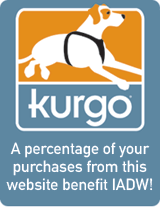 Employers often lack information on how to deal with assistance dogs on the job. With numerous recent media stories about fake assistance dogs, and an expanding number of types of assistance dogs, employers wonder how they will know if a service dog is real. They are concerned about other employees’ reactions, and how to smoothly integrate the assistance dog into the workplace. Associate Professor Glenn, of West Virginia University, has been studying this issue. Her recent year-long research project gathered data on the elements of service dog partnerships that have been successful in the workplace. When she began looking into this topic a few years ago, Glenn discovered that the upswing in the number and variety of assistance dogs was helping more people with disabilities find employment. “On the other hand, I found that some vocational rehabilitation counselors said they hadn’t encountered any people with assistance dogs applying for jobs,” Glenn said. She wondered if the dogs created a barrier to employment, although they were providing their partners with increased independence. JAN has been fielding more and more calls on the use of service dogs as a job accommodation. They are helping people in human resources, employers, vocational rehabilitation counselors, and others understand how to welcome assistance dogs in the workplace, and communicate with staff about topics such as how to appropriately interact with the new service dog team. The webinar on August 5 will answer questions about the law, types of assistance dogs, and how to create a successful outcome for both the employer and the individual with an assistance dog. As evidence of the timeliness and interest in this topic, 500 sites (many locations with multiple employees who will take part) had already signed up for the JAN webcast months in advance, completely filling the live event. Yet everyone can access the webcast online, starting a few days after the event at http://askjan.org/webcast/archive/index.htm. Photo: Kathy Taylor and Canine Companions for Independence Hearing Dog Janet are a hard-working and effective team. 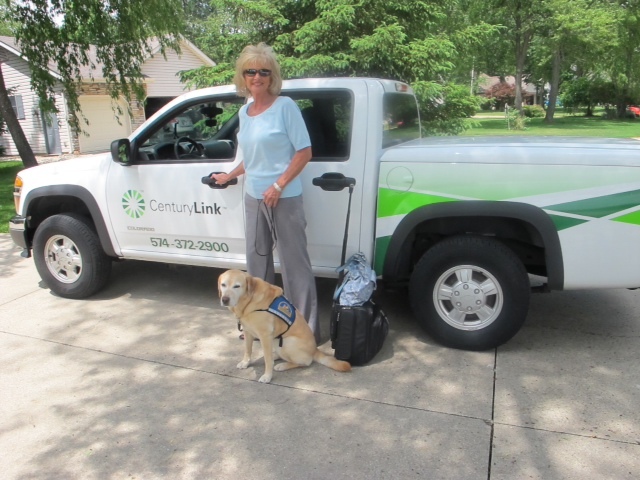 Kathy Taylor works as a System Designer-Engineer in field operations for CenturyLink. Kathy’s job requires extensive travel to business customer sites across the country and Janet makes Kathy’s job easier.